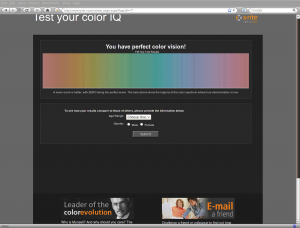 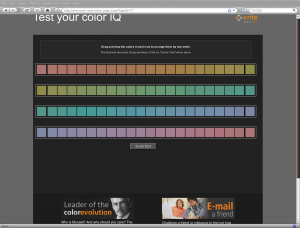 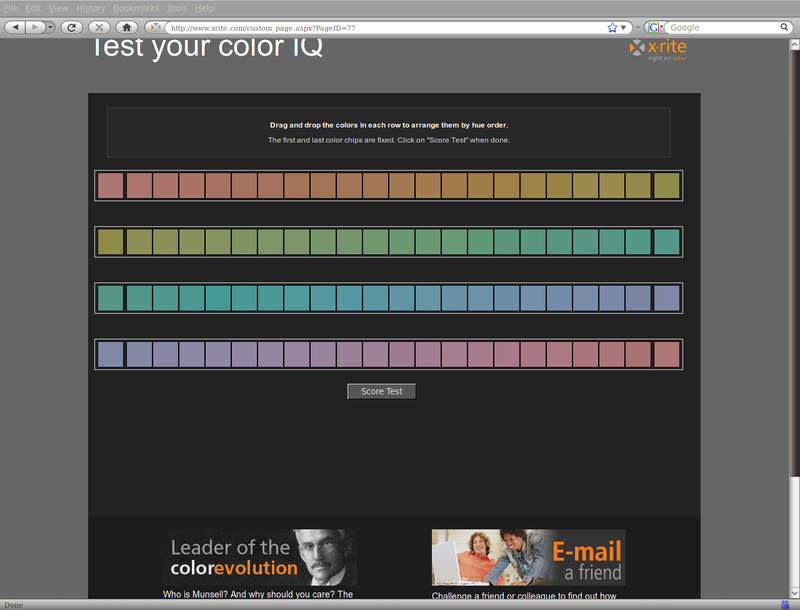 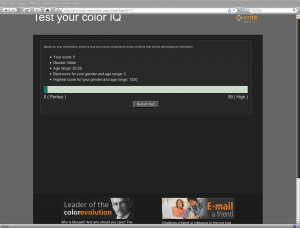 I came across a cool little color test yesterday thanks to downloadsquad.com and got around to taking the test today. 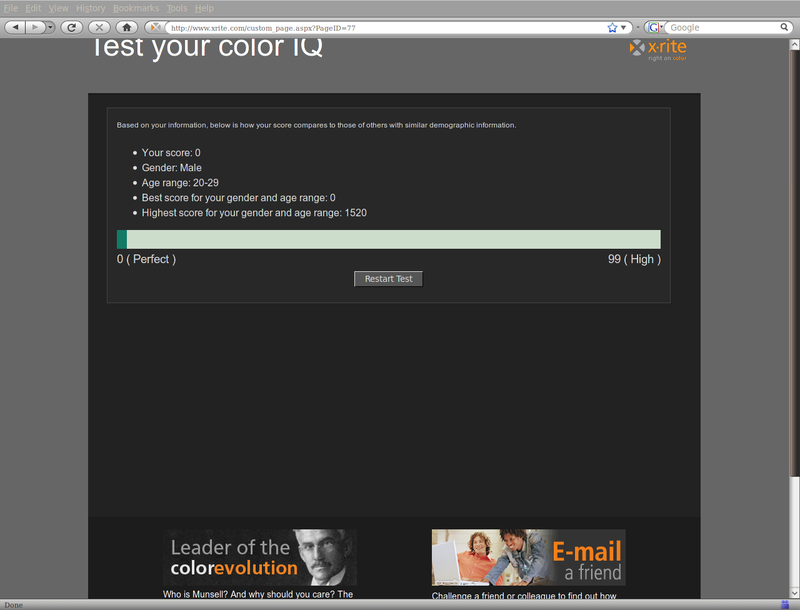 My scores were a little surprising, but I’m not complaining. 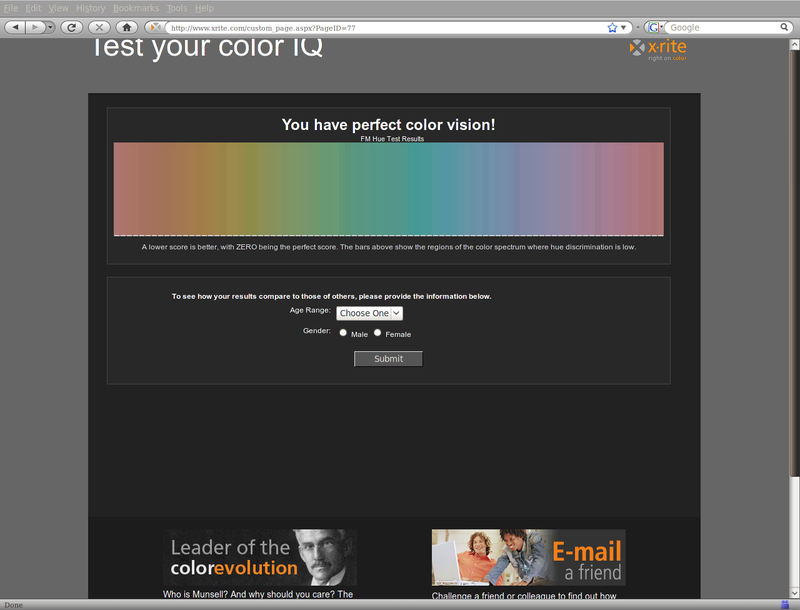 Previous Previous post: An auspicious day in the history of Steve Jobs.